Tomorrow, seven years to the day after Hurricane Katrina dodged New Orleans, the city will be venturing out to assess Hurricane Isaac’s overnight imprint on its neighborhoods. Yet parts of the city – especially low-income, African-American parts – are still damaged from the flood that followed the 2005 storm, when more than 50 levees broke and filled New Orleans with killing waters. Below, writer Lolis Eric Elie speaks to the connections between his native New Orleans and Haiti, which did not escape Hurricane Isaac. Officially, 24 people died when the hurricane passed through on August 25, though the numbers of those who will die from secondary effects such as hunger and cholera will never be counted. Elie’s discussion, however, focuses on an earlier disaster in Haiti, the epic 7.0 earthquake of January 12, 2010. 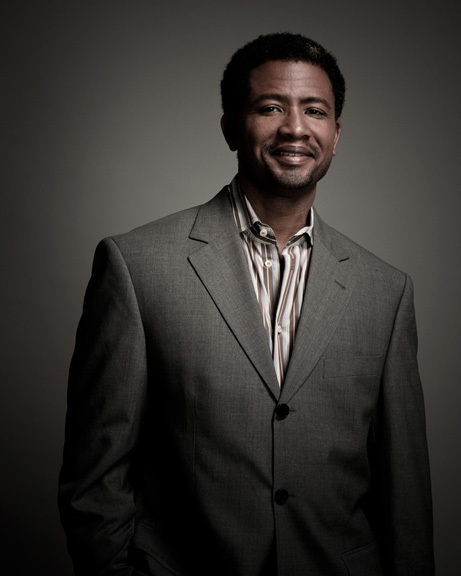 Elie is one of the writers of the HBO hit series Treme and co-producer of the documentary Faubourg Treme. A friend of mine visited Haiti post-earthquake and he sent back a bunch of pictures of fresh graves of people with my last name. I’ve always known that there were Elies there, but that personal connection, seeing it that way… I can’t escape imagining people with my last name and my blood perishing in the earthquake. We also share with Haiti the fact that the things that are richest are the same that are the least valued by the people who count these things. Part of what was so heartbreaking about New Orleans post-levee failure was the fact that we had to explain to people why we were important, why we mattered. And even in the context of trying to make that case, we often found ourselves minimizing our cultural riches and maximizing our discussions of international trade and oil refining and drilling. We found ourselves forced to speak in the language of a marketplace when that is certainly not the thing that has made New Orleans singular. Haiti is similar. If you took it out of the world market picture, financial markets would not collapse. But if you took Haiti out of the cultural picture through its music, its architecture, its visual arts, we as a world community would be greatly impoverished. The other thing we share with Haiti is this assumption that somehow we deserve our misfortune. Or that somehow misfortune follows us so closely and so consistently that no one should be surprised. The shorthand for what happened, whether we’re talking for Haiti or New Orleans, is that this was a natural disaster, and nothing could be further from the truth. It is so easy to attribute our difficulties to natural disasters or acts of God, but no one investigates very closely how much unnatural disasters and acts of man are really at the heart of these twin catastrophes. In New Orleans, if the federal levees had been built to the standards that they were supposed to be built to, Katrina would have caused moderate damage. Of course, in Mississippi and Plaquemines Parish, Louisiana, it would still have been devastating, but New Orleans would not have been devastated the way it was. If the forced urbanization of Haiti had not taken place in the l980s [when many small farmers went out of business due to the influx of foreign goods at prices made extremely low by IMF pressure on trade tariffs], if millions had not flocked to the city, then the destruction of Port-au-Prince would not have taken the human toll that it took. The forces behind this migration were anything but natural. Post-flood, there was both euphoria and dread. Euphoria at the possibility that we could rebuild and apply to the rebuilding a degree of intelligence unprecedented in the city’s history. There was also an immense dread that the same kinds of developers and profiteers would guide the rebuilding, thereby amplifying and expanding all that was bad prior to the levee failures. It is impossible these days to speak about major disasters without referencing Naomi Klein [the intellectual author of disaster capitalism, as described in her book The Shock Doctrine]. Implicit in the rebuilding strategies I hear about for Haiti, and heard about for New Orleans, is the sentiment that we are so desperate that we should be glad for any assistance, no matter how lethal. The other thing the rebuilding of New Orleans and Port-au-Prince have in common is a sense that what we need is outside experts. At no point has anyone looked at our history and asked about the extent to which outside experts have been culpable in our misfortune. The outside experts who knew how to drain swamps and develop subdivisions had us building in places that we probably should not have built. The outside experts from the Army Corps of Engineers assured us that the levees would protect these areas. They did not. In the case of Haiti, outside experts have been going there at least since the American occupation of 1915 to 1934. The assumption is that foreigners, especially white foreigners, are automatically more qualified than someone in Haiti who can do the work. You cannot escape the racial dimension of the post-earthquake assistance.